The Christian Camp Leader: Audiobook Version Now Available! 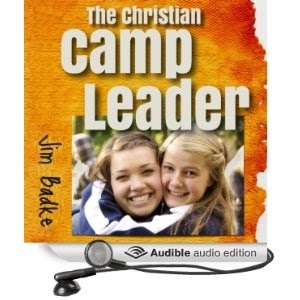 The audiobook version of The Christian Camp Leader is now available! It is listed along with the other versions of the book at Amazon.com. The cost is a little more ($13), but right now it is free with a 30-day free trial subscription at Audible.com (which you can cancel any time). It has a professional narrator who is easy to listen to, and it is just over three and a half hours in length, or about 20 minutes a chapter. This means your summer staff can listen to the book in the car or mowing the lawn! Or, you can include a chapter in your summer training programs. The audiobook will be especially helpful to those who find reading difficult or who just don't read often. A huge thanks to our friend Amanda Rubert who took on this project, and our talented narrator, Stacey Glemboski.